Australian international airline Qantas has ordered owners of the Samsung’s Galaxy Note 7 against charging their phones aboard the plane. 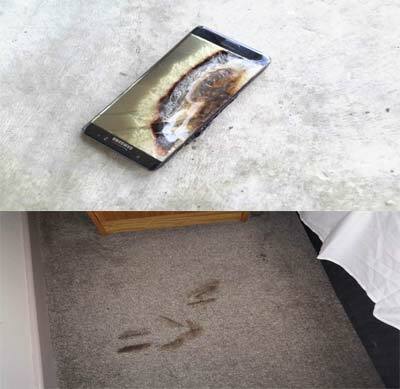 This follows an incident in Perth, Australia, where a burnt Samsung Galaxy Note 7 caused $1,800 worth of damage in a hotel room after it scorched the bed and carpet. 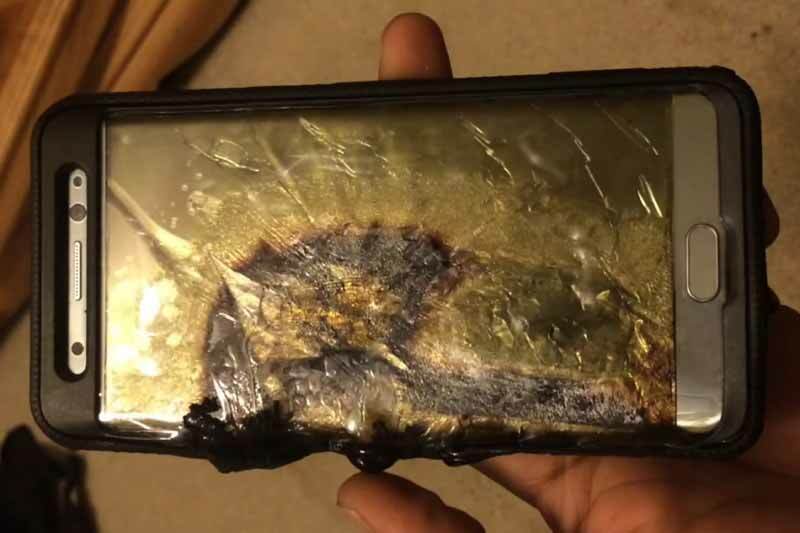 According to Samsung, as of 2 September 2016, there have been 35 incidents of burning Galaxy Note 7 across the world, causing the global tech giant to recall devices, suspend shipments, and replace over 2,5 million units. Analysts expect the monetary damage caused by these incidents to be worth over $1 billion, especially with Apple releasing its iPhone 7 just a week after the reports surfaced. Following Samsung Australia’s recall of the Samsung Galaxy Note7 Personal Electronic Device (PED), we are requesting that passengers who own them do not switch on or charge them inflight. Samsung Electronics Australia has taken the proactive and voluntary step to recall Galaxy Note7 smartphones in Australia. This is in response to the recent announcement by Samsung Electronics regarding isolated battery cell issues with the Galaxy Note7. Samsung Electronics Australia advises all customers who use a Galaxy Note7 smartphone to power down their device. In response to recently reported cases of the new Galaxy Note7, we conducted a thorough investigation and found a battery cell issue. However, because our customers’ safety is an absolute priority at Samsung, we have stopped sales of the Galaxy Note7. We are working closely with our partners to ensure the replacement experience is as convenient and efficient as possible. It is reported that two more airlines in Australia, Jetstar and Virgin, have imposed a similar ban. Luckily for Air Zimbabwe, the Galaxy Note 7 had not reached Zimbabwe, but it would be interesting to see what stance it takes for international routes. It is reported that the FAA, America’s aviation authority, is considering imposing the same ban for all American airlines. The FAA and the Pipeline and Hazardous Materials Safety Administration are working on guidance related to this issue. If the device is recalled by the manufacturer, airline crew and passengers will not be able to bring recalled batteries or electronics that contain recalled batteries in the cabin of an aircraft, or in carry-on and checked baggage. This seems to present an even bigger problem for Samsung. The FAA alleges that Samsung did not communicate through the proper channels, it was meant to go through Americas US Consumer Product Safety Commission. Now they are considering a complete ban on entering any airline, leaving Samsung with a logistics headache!